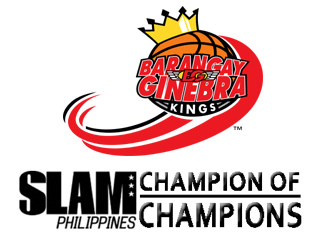 Seldom used old-timer Johnny Abarrientos (yes, Johnny A. was with the Gin Kings, he was J.J.’s backup) hit a halfcourt heave to beat the buzzer and give the 2006-2007 Barangay Ginebra Gin Kings a 155-152 quadruple overtime victory over their arch nemesis the 2005-2006 Purefoods Chunkee Giants in the Finals of SLAM’s Champion of Champions. The Flying A’s basket capped off a thrilling endgame run by the Gin Kings, who trailed by three points in the last 28 seconds. A gutsy pick-and-pop trey from Rudy Hatfield tied the game at 152-all with 13.5 seconds left. After Hatfield hit the shot, the Chunkee Giants set up a play to get Marc Pingris open near the basket off of a decoy down screen for James Yap. Pingris seemingly missed a casual layup but extra slomo replays after the game show Rudy Hatfield flicking a very subtle backhand to hit the Future Sakuragi’s crotch. A wild scramble for a loose ball ensued which fortuitously ended up in Abarrientos’ hands near midcourt with barely two seconds left. Incidentally, those were the first points of the legendary point guard as he only appeared in the last OT after seven of Ginebra’s players fouled out and there was nobody else to field in. 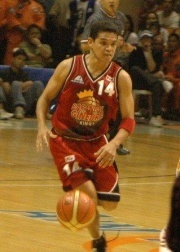 The Gin Kings were led by Rudy Hatfield with 28 points, 20 rebounds, and 9 steals. 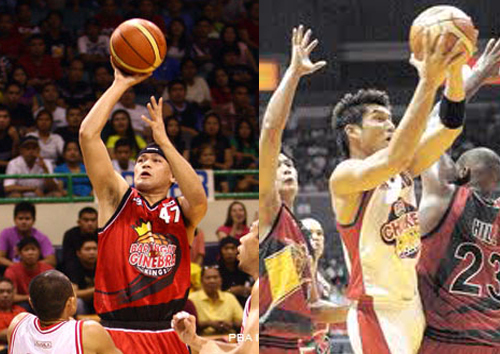 Caguioa and Helterbrand each had 32 points apiece while Eric Menk came off the bench with 13 points and 10 boards. Ginebra’s gunners were on target all night as Tubid, Salvacion, and Macapagal combined for 12 treys. “Alam mo napakasakit, kasi illegal na nga yung ginawa ni Hatfield tapos tsamba pa yung pagkatalos sa amin,” James Yap, who scored 45 points, painfully exclaims. Promising microwave guard PJ Simon supported Yap and Raymundo (26 points and 8 boards) well as he notched 23 points. “I had a tough time guarding that dude (Simon),” Mark Caguioa admits. “But they had a tougher time guarding my teardrop! All day baby!” Caguioa shouted while drenched in champagne and gin. The game put enough butts in the seats of the newly constructed SLAM Arena. There were 29,666 paying patrons to offset the costs of putting both teams in a time machine just to make the game happen.